I was recently invited to explore Southside Village with Visit Sarasota as a part of their Shoptember event. If you've ever been to Florida's gulf coast, you'll know it's famous for it's beautiful beaches, vibrant arts culture, and fabulous weather. 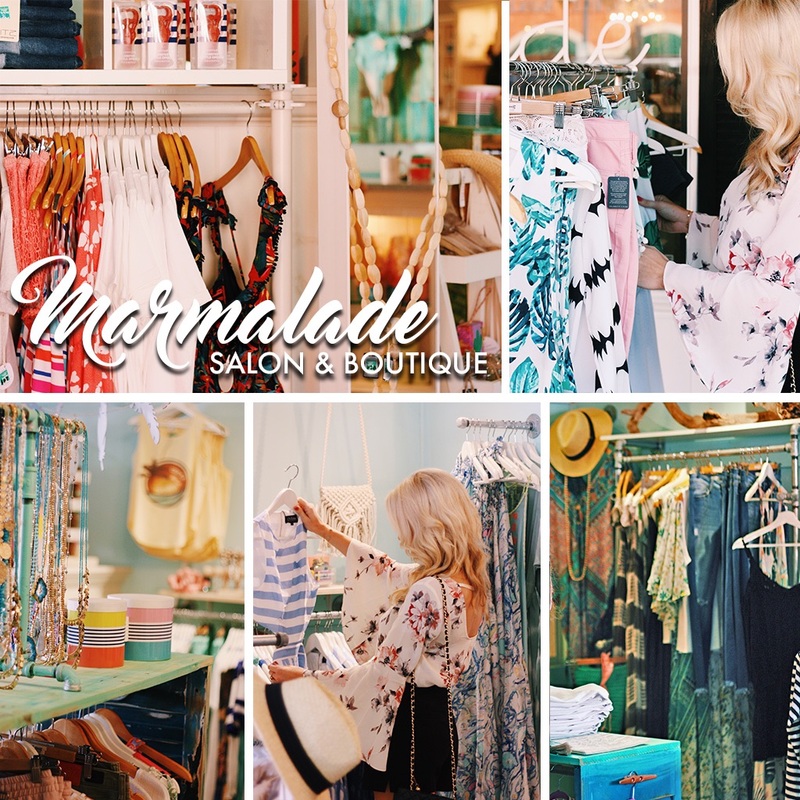 Aside from the beach, some of the best local spots can be found in the historic parts of the towns where chic boutiques and alfresco dining create the perfect place to shop, dine, and enjoy the day. 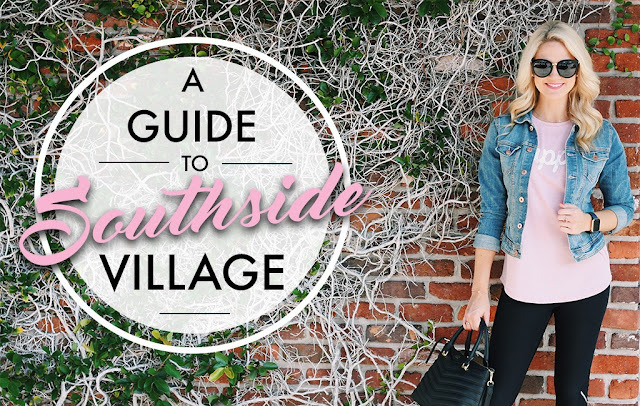 Southside Village is one of the most charming shopping and dining districts, and it's got a lot to offer for both visitors and locals alike. I've created a guide with some of my favorite places for shopping, relaxing, and dining. A great day usually begins with a great cup of coffee, am I right? 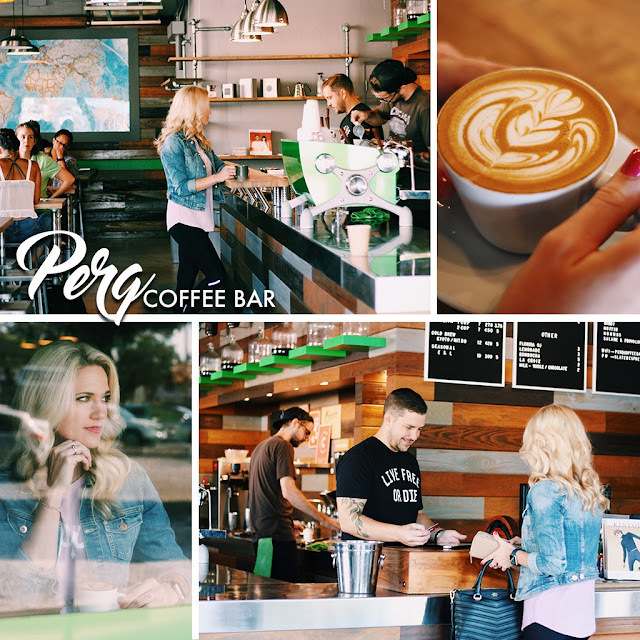 If you're in town, I highly suggest forgoing your typical Starbucks and swinging by Perq Coffee Bar for a delicious coffee or tea prepared with precision and the utmost attention to detail. The laid-back, urban feel of the decor invites you to make yourself comfortable and relax with a good book or meet a friend for coffee and conversation. 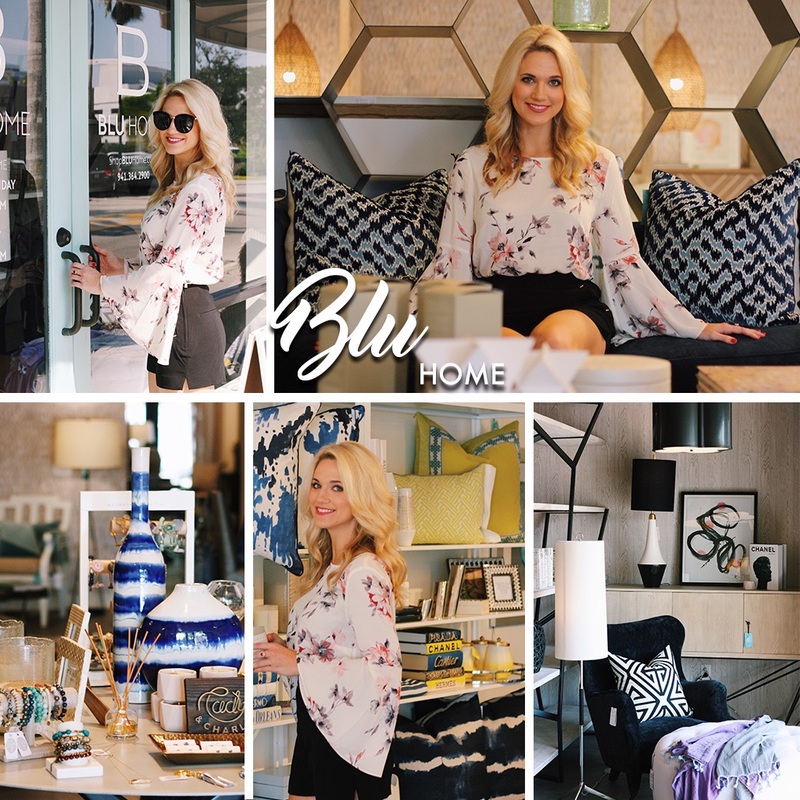 Southside Village has some of the most adorable and elegant boutiques, and Blu Home is definitely a must visit if you appreciate stylish home decor and lovely accessories. Their design services provide a creative perspective on custom styling and thoughtful space creation. I love updating my space every season with a few new pieces, and Blu Home's showroom of beautifully curated, sophisticated items was the perfect place to gather ideas and inspiration. 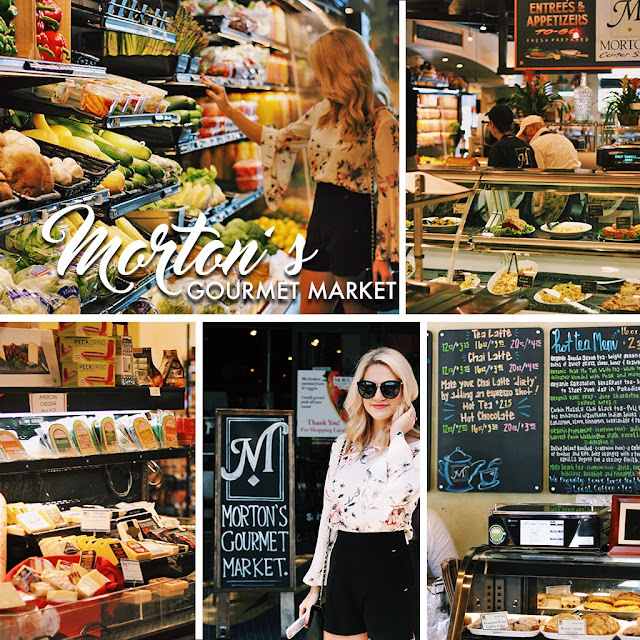 For lunch, I swung by Morton's Gourmet Market for the freshest selection of delightfully prepared sandwiches, quiches, pizza, soups, and of course the incredible desserts in their bakery. A family owned Sarasota favorite for over 50 years, this specialty market is definitely not to be missed. Whether you're looking for something to take with you on a beach picnic, the perfect cake or catering for a celebration, a wide selection of wines, gourmet groceries, or artisanal cuisine when you don't feel like cooking, there's something delicious for everyone. Marmalade Salon & Boutique is perfect for anyone who loves whimsical, beach-chic decor, and stylish fashion finds. This adorable boutique is brimming over with playful, trendy clothing and baubles. I loved their selection of bohemian inspired dresses, and wanted to bring home one of everything! The salon evokes the sun-soaked, surf culture vibe of laid-back island living, and the sound of happy chatter carries over from clients enjoying a fresh cut and styling session. If you're in the mood for casual yet sophisticated dining with creatively crafted seasonal foods, look no further than Libby's Cafe and Bar. 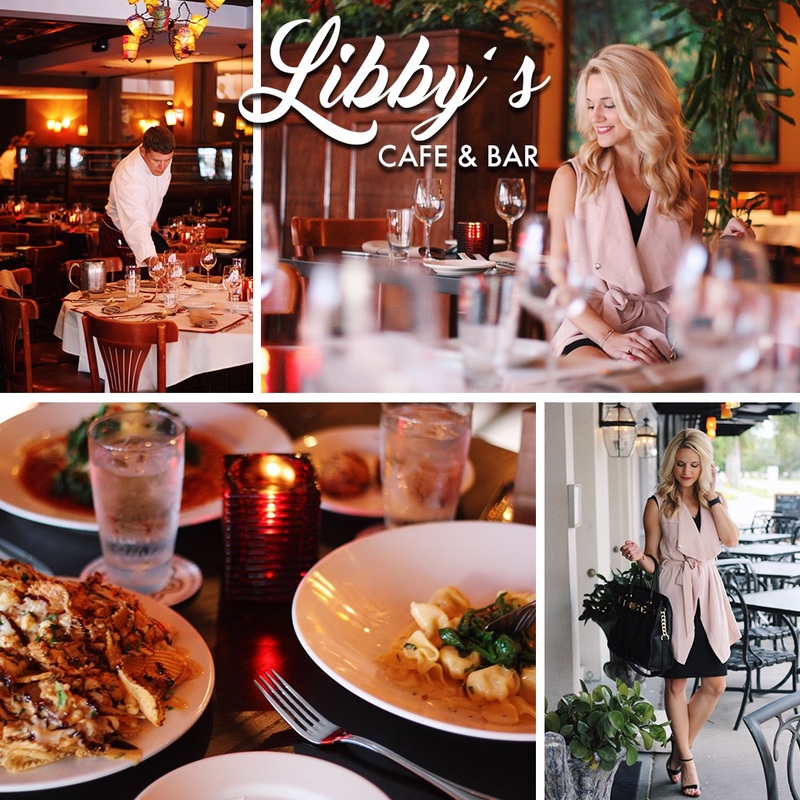 The contemporary atmosphere invites guests to gather for light bites on the outdoor patio, enjoy a celebratory dinner, host a company meeting in their private dining room, or meet up with friends after work. Each dish on the menu is created with the freshest ingredients, and their selection is sure to satisfy even the most discerning palate. (I highly recommend the Four Cheese & Pear Tortellioni, so delicious!) Their attention to detail and artful combinations will keep you coming back for more. Thanks to Visit Sarasota for partnering on this post.